This is a rectangular Sanitary Laundry porcelain sign. This particular Sanitary Laundry sign is white with blue print. 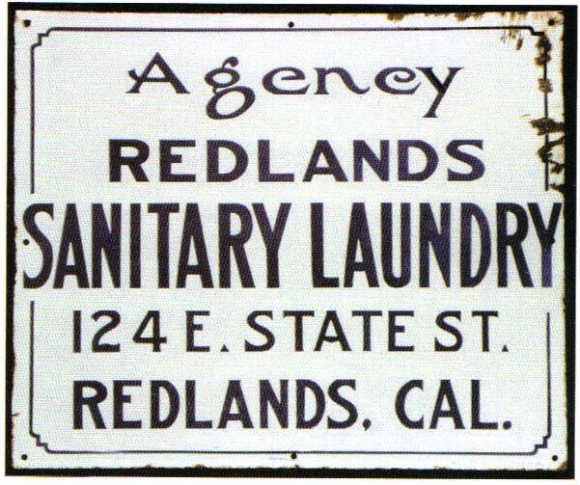 It reads, “Agency, Redlands Sanitary Laundry, 124 E. State St., Redlands, Cal.” and features a decorative blue border.